vimperator的可视模式,就是按i进入,然后可以用h k l j 等进行位置的确定.然后可以进行特定段落的复制等操作. ” map to js functions F2来显示隐藏工具栏;用<C-W>来在wiki中查看词条. C:\Documents and Settings\[USERNAME]\Local Settings\Application Data\Google\Chrome\Application\chrome.exe –user-data-dir="..\User Data\[PROFILE NAME] "
C:\Users\[USERNAME]\AppData\Local\Google\Chrome\Application \chrome.exe –user-data-dir="..\User Data\[PROFILE NAME] "
Mozilla tweaked and updated a whole lot of little things here and there throughout Firefox 3, which amounts to a big overall boost in usability. Most noticeably when you first switch, the Back button only appears on the address bar if there is a page to go back to, and when it does, it’s bigger and easier to click. Users who want to make sites with small text more readable permanently are in luck; Firefox 3 can increase the size of images and text, or just the text, on hard-to-read sites. In addition, Firefox 3 applies favicons more consistently to bookmarks, you can click a site’s favicon to get extended site identification information, you can resize the search box to hold more than two words, and the find-on-page search box automatically grabs the currently selected word, just to name a few new UI improvements. In the long term, once webapps catch up, Firefox 3 will let you do really neat stuff in your browser, like register your favorite webapps to open certain file types, and access your online data even when you’re not connected to the ‘net. 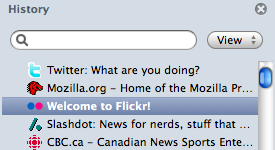 To get a taste, see how you can configure Firefox 3 to launch Gmail for mailto links. Much like iTunes’ Smart Playlists, Firefox 3’s new Smart Bookmarks function can analyze your browsing habits and create lists of links based on it. The default bookmark toolbar only comes with three standards, “Most Visited,” “Recently Bookmarked,” and “Recent Tags” (more on that later), but it’s none too hard to make your own. The Firefox 3 feature that you’ll get to know and love the most is the new smart location bar’s as-you-type suggestions that learn where you probably want to go as you browse. But if you’re feeling like the number of suggestions is too high or too low? 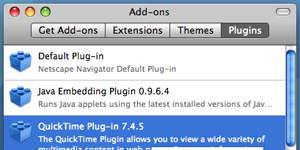 Adjust it to your liking in Firefox’s configuration area. Here’s how. Enter about:config into the address bar and hit Enter. 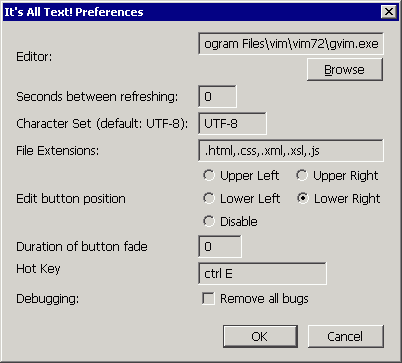 Enter browser.urlbar.maxRichResults in the Filter field to reach this preference. Set it to your desired number of suggestions. Three shown here. Here’s another way to adjust the location bar behavior with an about:config tweak. While the Smart Location bar is quite intelligent, if you enter an incorrect URL—say, to a page that doesn’t exist—Firefox 3 will still remember it and suggest it again later. (Garbage in, garbage out, as they say.) To remove a mistyped URL from your suggestion list forever, key down to the suggestion and type Shift+Delete. Firefox’s smart location bar (a.k.a. “AwesomeBar”)—which drops down a suggestion list of destinations as you type into it—is extra verbose and extra-tall, since it includes both web site titles and URLs. 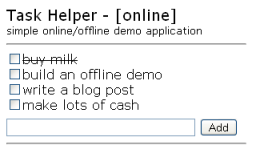 If you’re missing Firefox 2’s classic one-line drop-down look, the Oldbar extension can revert the “AwesomeBar” to something less awesome—or at least something that looks less awesome. 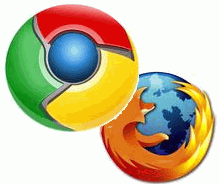 Like iTunes Smart Playlists and saved search folders in OS X and Vista, Firefox 3’s Smart Bookmarks are dynamic lists of URLs generated by certain search criteria. 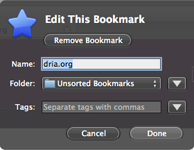 Here’s how to create your own collections of Smart Bookmarks using search parameters. Hint: Add the most frequent pages you visit on Lifehacker.com by bookmarking place:queryType=0&sort=8&maxResults=5&domain=lifehacker.com. Firefox 3’s filetype handling mechanism can now associate web applications as well as desktop applications with certain files. This opens the door to possibilities like automatically launching links to ical files in your web-based calendar app, or opening your webmail when you click on email links. 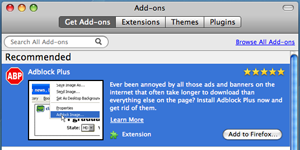 While most webapps have to catch up to Firefox 3 to enable this functionality, one we already know and love is already there. Here’s how to launch Gmail when you click mailto: links on web pages. This tweak goes back to Firefox 2, but is still just as useful and functional in Firefox 3, especially if you’re a web writer. In about:config, set layout.spellcheckDefault value equal to 2 to enable spell-checking in single line input fields as well as textareas. (Less typos in your email subject lines and blog post titles!) Here are a few more Firefox about:config tweaks. 参见 Firefox 3: Color profile support ，作者 Deb Richardson. 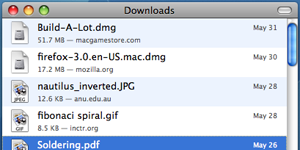 参见 Download Manager in Firefox 3 ，作者 Madhava Enros. 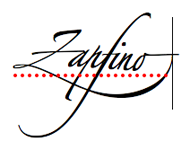 参见 Firefox 3: Fonts and text，作者 Stuart Parmenter 和 Deb Richardson. 参见 Full Page Zoom，作者 Seth Bindernagel. 参见 Firefox 3: History，作者 Deb Richardson. For more, see HTML Canvas in Firefox 3 by Vlad Vukićević. Web 应用程序协议处理是 Firefox3 的一个新的特性，它使得Web应用程序更加强大。当你点击一个具有特定协议的连接时，Firefox 现在能把连接数据发送到指定的增加了对该特性支持的Web应用程序。例如：“mailto:”（电子邮件协议）连接现在已经能被诸如 Yahoo! Mail 的 Web 应用程序直接处理，取代了通过默认的桌面邮件客户端的方式。其他普遍支持的协议还包括“webcal:”, “tel:”和“fax:”. 参见 Firefox3：Web 协议处理，作者 Mark Finkle. 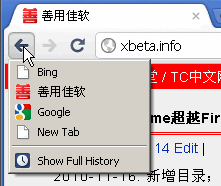 Hi xbeta, You’re welcome to have my Field Guide to Firefox 3 translated into Chinese and post it on your blog. You can use any of the the images too, if you like.